Unlock Samsung Galaxy Victory 4G LTE - Safe IMEI Unlocking Codes for You! Unlock Samsung Galaxy Victory 4G LTE Handset! In case your Galaxy Victory 4G LTE doesn't ask for the code and there is no designated field to enter it, please DON'T PLACE ANY ORDER, contact us first for support. 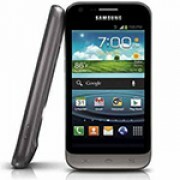 Are you looking to unlock your Samsung Galaxy Victory 4G LTE smart phone? Use now our Fast and Safe Unlocking Service! The process is easy and 100% Guaranteed to work! Our unlock codes works for the latest models including Galaxy S II Plus, Galaxy S3, Galaxy Note, Infuse 4G, Omnia, Galaxy Skyrocket, Captivate and many more! Before placing an order for your Galaxy Victory 4G LTE please make sure you send us the correct information! How to Unlock Samsung Galaxy Victory 4G LTE Phone - Tutorial! Please find bellow a step-by-step guide to follow in order to unlock your Samsung Galaxy Victory 4G LTE handset. Can I get discounts for Samsung Galaxy Victory 4G LTE smart phone? Hi Danelle! Yes, we have giveaways available if you use our service. Please email us for more details. Thank you!